A summer afternoon at Bastian Elementary School revealed a wonderful exhibition of paintings and other works of art, as well as a musical performance of songs by Pre-K and Kindergarten students who were wrapping up a four-week summer fine arts camp. The camp, which was based around the four themes of community, transportation, healthy eating, and friendship/fairness, was in response to an initiative from Interim Superintendent Grenita Lathan to include the fine arts in summer school. This entry was posted in Art, Fine arts, News and tagged Alcott ES, Bastian ES, Kindergarten, pre-k, Young ES on July 9, 2018 by HISD Communications. College-bound students from Worthing High School are reaching back to the elementary students coming behind them to cultivate a college-bound culture throughout the entire Worthing feeder pattern. This entry was posted in Achieve 180, College Readiness, Elementary Schools, High Schools, HISD: Our Story and tagged Bastian ES, college tours, Worthing High School on May 8, 2018 by HISD Communications. Everett Hare has been selected as the next principal of Bastian Elementary School. He has served HISD in various capacities for 10 years, first as a teacher at Dodson Elementary School and next as vanguard coordinator at Pleasantville Elementary School. Since then, he has served in multiple leadership roles, most recently as assistant principal at Bastian since August 2015. 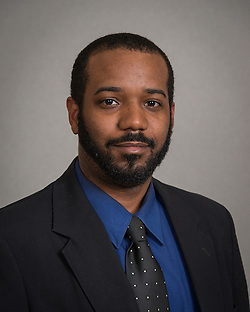 Mr. Hare has a bachelor’s degree from Dillard University and a master’s degree in Educational Administration from Texas Southern University, where he is currently completing his doctoral studies. Mr. Hare has two children who attend HISD schools. This entry was posted in Staff updates and tagged Bastian ES on June 7, 2016 by HISD Communications. A group of 25 students at Bastian Elementary School were surprised with a special delivery by Houston Texans cornerback Johnathan Joseph on Tuesday afternoon—just in time for the holidays. Joseph, accompanied by team members from Academy Sports + Outdoors, gave students bikes on behalf of The Andre Johnson Foundation’s annual toy giveaway event. Students were chosen based on perfect attendance and outstanding grades. “The community at Bastian Elementary is excited to once again team up with the Houston Texans and the Andre Johnson Foundation to do something special for students who have shown excellence throughout the school year,” said Bastian Principal Tonya Roberson. This entry was posted in District IV - Jolanda Jones, Elementary Schools and tagged Bastian ES, Houston Texans on December 16, 2015 by HISD Communications. Thanks to a $30 million federal Race to the Top-District (RTT-D) grant HISD won in 2013, students at 119 campuses are connecting the concepts they learn in the classroom to the real world that awaits them after graduation. This entry was posted in Career/technical education (CTE), College Readiness, District IV - Jolanda Jones, Linked Learning and tagged Bastian ES, Junior Achievement, linked learning on November 23, 2015 by HISD Communications. The Houston Independent School District is working to readjust attendance boundaries at almost two dozen schools in an effort to reduce classroom overcrowding. The move is in response to a directive from the Texas Education Agency, which requires kindergarten through fourth-grade classes to have no more than 22 students per classroom. Classes that exceed that number must request a state waiver. This entry was posted in Board of Education and tagged Anderson ES, Ashford ES, Askew ES, attendance boundaries, Bastian ES, Burbank ES, Bush ES, Daily ES, Emerson ES, Halpin ECC, Highland Heights ES, Kelso ES, Love ES, Lyons ES, Memorial ES, Northline ES, Shadowbriar ES, Sinclair ES, Smith ES, Stevens ES, TEA, Tinsley ES, Walnut Bend ES, Young ES on January 22, 2015 by HISD Communications. 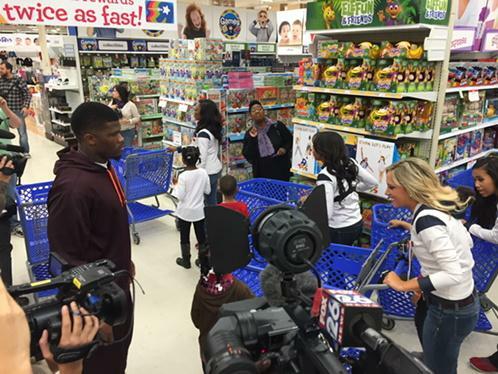 Houston Texans receiver Andre Johnson came with lots of toys during a visit to Bastian Elementary School on Dec. 2. 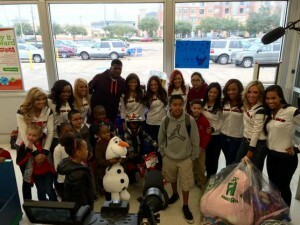 Johnson, accompanied by Houston Texans cheerleaders, gave students bikes and toys and took photos with students as part of his annual toy giveaway event. This entry was posted in District IV - Jolanda Jones, Elementary Schools and tagged Bastian ES on December 2, 2014 by HISD Communications.